Home » Is Jesus God? Or Messiah? 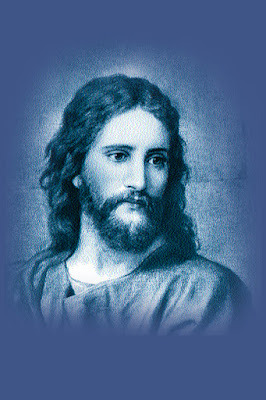 » Did Jehovah manifest in the form of Jesus? According to the part of the above verse “God manifest in the flesh”, present day pastors argue that Jehovah Himself manifested in the form of flesh means as Jesus. So Jesus is God. In this regard, first let us examine whether Paul also believes that Jehovah has manifested in the flesh or not. Read the below verse of Paul. If Jehovah were really manifested in the form of Jesus as contended by present preachers then to whom Jesus had offered up prayers and supplications with strong crying and tears in the days of his flesh? Jesus had offered up prayers and supplications with strong crying and tears to Jehovah. Moreover, if Paul believes as Jehovah has manifested in the form of flesh he should not have preached the below verses. Did Paul ever have believed that Jehovah incarnated as Jesus? We can see so many verses as above that Paul has thanked, glorified, praised to God through Jesus. If Paul really were believed Jesus is incarnate of Jehovah as propagated by present day preachers then why Paul has praised and glorified and thanked to Jehovah though Jesus instead of thanking and praising Jesus himself believing him as incarnate of God? This point leads us to conclusion that Paul has never ever believed Jesus as one incarnate of God as the present day church believes. Did Jesus have transformed as Jehovah after he ascended to heaven? If Paul were truly have believed that Jehovah had manifested in the form of Jesus then he should have proclaimed assuredly saying as Jesus has transformed again as Jehovah after his being ascended to heaven. But let us see what Paul has proclaimed about Jesus after he ascended to heaven in the following verses. As a matter of fact, if Jehovah incarnated or manifested in the form of Jesus then Jesus should have transformed again as Jehovah after he ascended to heaven. But according to the above verses spoken by Paul, Jesus intercedes at Jehovah to save them who come to God through him in capacity of unchangeable priesthood. If Jehovah were incarnated as Jesus then to whom Jesus had prayed? And whom he commanded to pray in his gospel? Jesus has commanded his dispels to pray Jehovah only. According to the above verses it is clear that Jesus always used to pray to that God Jehovah only whom the all prophets have been praying right from the beginning. Further Jesus commanded to his dispels to pray to that Jehovah only for ever. But he nowhere has given an unequivocal statement that I am God and Pray to me. Whom the dispels and Paul have prayed after ascension of Jesus? Whether Jesus or Jehovah. According to the above verses it is made clear that the immediate dispels did not pray to Jesus imagining him as one incarnate of God just as the present day’s preachers. Did the immediate dispels of Jesus ever have imagined as Jehovah is Jesus himself? Or they recognized Jesus as the servant of Jehovah? According to the above verses it is made clear that the immediate dispels never ever have imagined as Jehovah has incarnate in the form of Jesus. But they believed him to be servant of Creator Jehovah. Did contemporaries of Jesus ever have imagined as Jehovah has incarnated as Jesus? Or they recognized Jesus as one who servant of Jehovah? According to the testimony of Martha in the above verse that “BUT EVEN I KNOW THAT WHATEVER YOU ASK OF GOD, GOD WILL GIVE YOU” it is crystal clear that the contemporaries of Jesus did not imagine Jesus is Jehovah Himself and they believes that Jesus heals by the powers bestowed by God (Jehovah). Then why it has been written as “God has manifested in the flesh” in KJV Bible? The Great mistake by translators! As a matter of fact, according to the Alexandrinus codex Greek Bible of 5th century we find there in to have been written as “he manifested in the flesh”. In this verse “he” denotes to Jesus not to Jehovah. But unfortunately some Modern Greek translations have mentioned 1 timothy 3:16 as “God manifested in the flesh” which is contradicts to the all other verses of entire Bible. And what important to note is that almost all in twenty nineteen different translations of English Bibles we can see the verse of 1 timothy 3:16 as “he manifested in the flesh” as follows. And without controversy great is the mystery of godliness; He who was manifested in the flesh. Without question, the mystery of godliness is great: HE was revealed as a human. Great indeed, we confess, is the mystery of godliness: He was manifested in the flesh. And we all agree, our religion contains amazing revelation: He was revealed in the flesh. And most certainly, the mystery of godliness is great: He was manifested in the flesh. No one can deny how great is the secret of our religion: He appeared in human form. He was shown to us in a human body. And undeniably great is the mystery of godliness, who was revealed in flesh. And evidently great is the mystery of godliness, which was manifested in the flesh. Beyond all question, the mystery from which true godliness springs is great: He appeared in the flesh. By common confession, great is the mystery of godliness: He who was revealed in the flesh. Without any doubt, the mystery of our religion is great: He was revealed in flesh. And I think you will agree that the mystery of godliness is great: He was revealed in the flesh. However if anybody argues according to some modern Greek bibles that God has manifested in flesh then first and foremost they have to agree that Jesus has given the false statements as follows. In the above verses Jesus says that “he came from Father” but he is saying that Father has manifested in the form of me. So according to the so far discussion Jesus, who had been in the form of soul being created by God in heave, has manifested in this world to say in clear terms Jesus was born by the word of God miraculously through the womb of Mary. Paul also saying the same in the following verse. THIS MEANS JEHOVAH HAS CREATED JESUS BUT JEHOVAH HAS NOT INCARNATED IN THE FORM OF JESUS.